Half Day students, parents, and staff have been collecting cardboard boxes, tubes, inserts, and tape in preparation for our Cardboard Challenge inspired by Caine’s Arcade. Some students have already had an opportunity to work with Mrs. Emde in creating math games from cardboard, but ALL students will be working with Mrs. Sweet in the art room during the week of October 19-23, 2015. In addition, any student interested in building something from cardboard at home is asked to take pictures and/or videos of the process and product to be virtually shared during the week of October 26-30, 2015. More instructions on how to share will be coming soon. There is no need to purchase supplies for this challenge since Half Day students are encouraged to have FUN as they tap into their greatest resource of all …IMAGINATION! 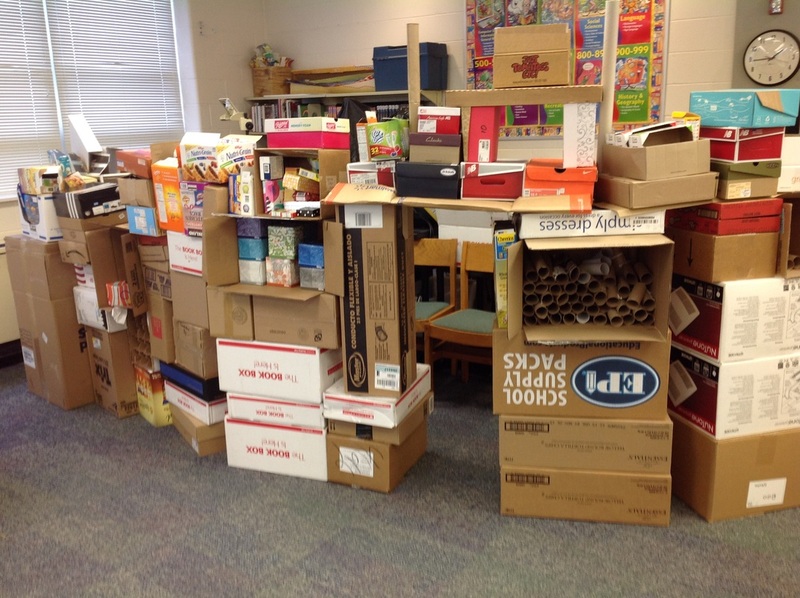 Our cardboard collection is growing to get ready for the Cardboard Challenge!